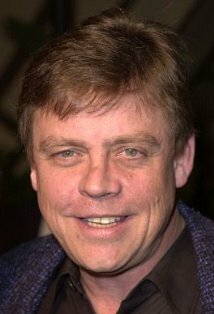 Wiki Biography: Mark Richard Hamill grew up in California, Virginia, New York and Japan; his father was a captain in the United States Navy. He majored in drama at Los Angeles City College and made his acting debut on "The Bill Cosby Show" (1969) in 1970. He played a continuing role (Kent Murray) in the soap opera "General Hospital" (1963) and co-starred in the respected comedy series "The Texas Wheelers" (1974). Real fame came with his film debut (he was voice only in Wizards (1977)) with the hero role of Luke Skywalker in Star Wars (1977), Star Wars: Episode V - The Empire Strikes Back (1980) and Star Wars: Episode VI - Return of the Jedi (1983). He experienced a disfiguring car crash, but later played in Broadway, returning to film in 1989. During the 1990s, he became best known for providing the voice of the Joker in the animated "Batman" (1992) series.